Aurora Keys has dreamed of the Vanderlind Castle ever since she was a little girl. But the fiercely private Vanderlinds keep the massive structure strictly off limits to visitors. Until one night, the wealthy family throws a party —- not just a small soiree, but a huge black-tie affair. No one from the town of Tiburon, Ohio, is invited —- not even the mayor. But Aurora’s best friend, Blossom, has a foolproof plan for the two of them to sneak in. At first, everything goes smoothly: the girls enter the castle undetected, and there is free champagne. But then the handsome Jessie Vanderlind sweeps Aurora into his arms, crushing her to his chest and whispering, “I knew you’d come back to me.” Aurora understands it is a case of mistaken identity, but she feels connected to him somehow. And the boy is so beautiful, she believes she would be happy if he never let her go. Once Jessie realizes he is mistaken, his smile quickly changes to a scowl. “You must leave,” he tells her in a low, urgent voice. “Immediately. Come! I’ll find a way to get you out.” Unbeknownst to Aurora and Blossom, they have snuck into the home of one of the most prestigious vampire families in the world, and it is doubtful the two young women will ever be allowed to leave. Aurora’s resemblance to Jessie Vanderlind’s lost love just may be the only thing keeping them alive. This book went quickly! Or I just read it fast. Either way, I started it, and then it was suddenly, sadly, over! Honestly, that is my biggest complaint about this book - it ended JUST as it was getting really interesting and engaging. You authors and your cliffhangers!!! Leaving me wanting more!!! 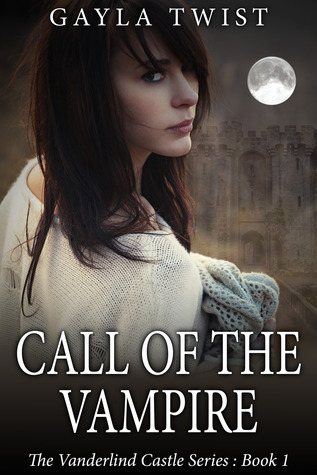 The premise here is fun: Aurora is mistaken for the former flame of an uber-important vampire. As the story is revealed, we learn why Aurora is confused for this woman, and it hints at deeper things at work. Really, the summary shown above encompasses about 20% of the story that is told in the book. It is a good thing though, because once you get past that part, there is a lot more meat than just forsaken attraction. At the same time, as soon as it gets really good, it just ends. Gah. Typically one book of a series will still have a complete story within it, and then add the cliffhanger to continue with a new aspect or addition to the story already told. In a sense, the abruptness of the ending make this feel almost like a minibook or just one chapter of the full picture. While it is good because I want to read more, it also left me feeling a bit empty. I am afraid this will have to be one of my shorter reviews. Because the story was just getting started when it ended, I feel like I do not have too much to say about it. I definitely liked what I read and absolutely am interested in what happens next, but if you are looking for a complete story arc, you are not going to find it here. I think the author has a lot more of this tale to tell, so I imagine we are going to see at least two more installments. This is just the tip of the iceburg! This book does not really have much violence in it, it more just hints that it could happen at any time. There is certainly lusting, and alcohol abuse, but I would say it is completely appropriate for a high-schooler. I would recommend it... but maybe wait until at least one more piece comes out so that you can read them back to back.